Ansell Encore Powder-Free Sterile Surgical Gloves are made from natural rubber latex. 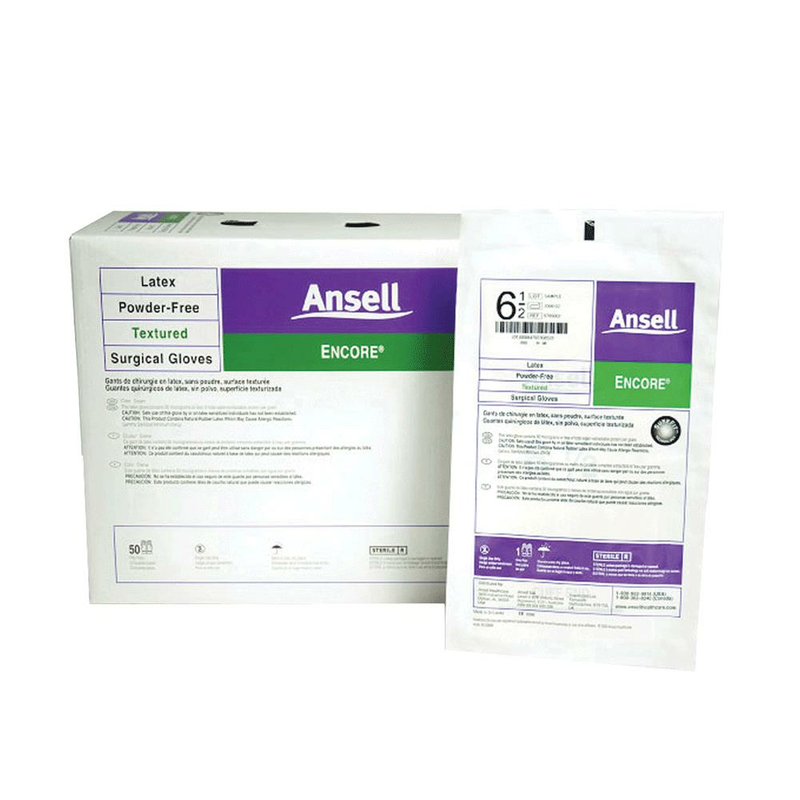 The gloves have a textured finish for superior grip and handling and their low protein levels help reduce the risk of latex sensitization in healthcare workers and patients. The thickness of these gloves is optimized for the best balance of protection and tactile sensitivity, all while allowing for a comfortable fit during the majority of surgical procedures. It's $114 for a box of 50 pairs of gloves? or am I reading something wrong. Are these gloves individually wrapped? Yes the pair of gloves come individually wrapped in a box of fifty or 200, according to the packaging you prefer.